Music Minute: “I Was A Teenage Creature” by Lord Luther | The Eye of Faith Vintage 11.11.11. Lord Luther aka Luther McDaniels was born in Panola County Texas and started singing gospel at an early age. In the mid 50’s he started a Doo Wop group, The Four Deuces. 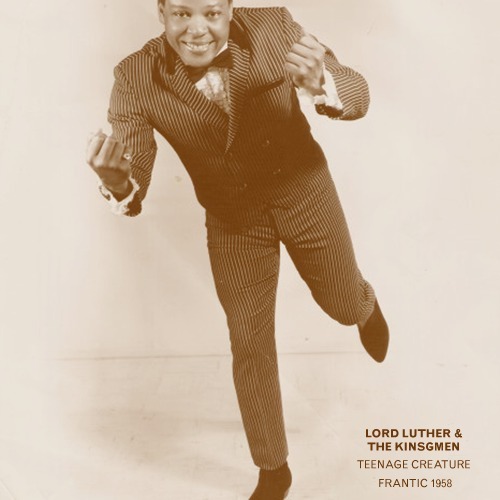 Based out of California, they recorded a few singles in 1956, including the hit single W-P-J-L. After the group disbanded in late 1956, he continued recording and releasing records under the name Lord Luther. This was his second solo release in 1958.